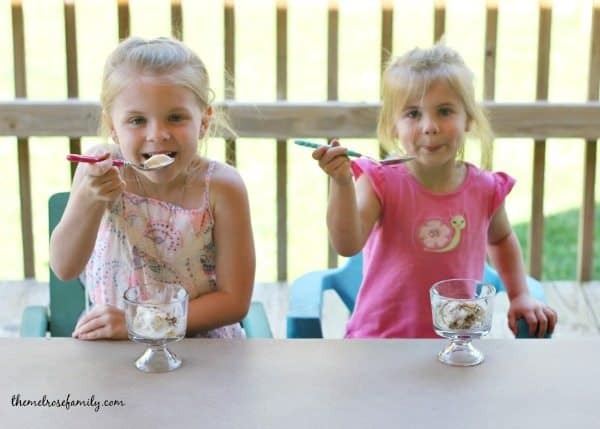 Thanks so much to Little Debbie® for partnering with us to bring you this tasty ice cream recipe. Are you looking for the perfect ice cream? 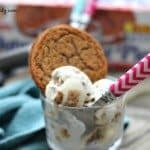 Don’t look any further because this no churn oatmeal creme pie ice cream is going to knock your socks off. My mom and I are very close. The miles that are now between us make it difficult and I absolutely love when she comes to visit, which also make it so hard to see her go. I cry every time. I’m so fortunate to have such an amazing relationship with my mom and it’s due to the fact that she was so involved in our lives growing up. My mom had the opportunity to stay home largely due to my dad’s back breaking work, but also because of her frugalness. She was amazing at budgeting. Somehow she always made sure that we had new clothes for each season. My favorite part of having my mom home was that she was always there after school to give us a snack and find out about our day. My favorite snack was always a Little Debbie® snack cake. I particularly loved the oatmeal creme pies. It’s the taste you never outgrow! I thought it would only be appropriate to combine my favorite snack cake with my daughters’ favorite dessert of ice cream. They certainly loved it! This recipe is so much simpler than you would think. Any time I think of ice cream, I always think you have to have an ice cream maker. Not with this recipe. It is no churn and only three ingredients. Yup, just three! Make it in the morning and it’s ready for dessert! Take a minute to visit LittleDebbie.com for more recipes! 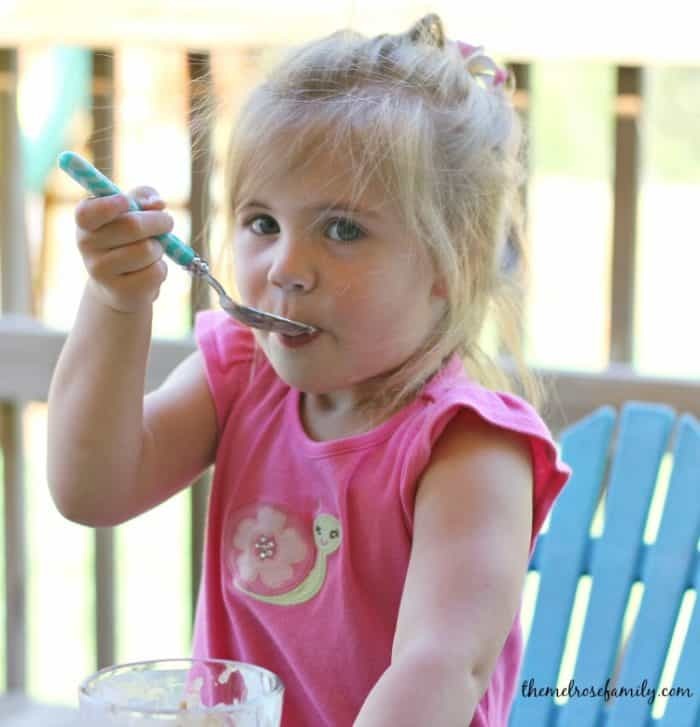 Little Debbie® is all about creating Sweet Memories, which is why they are hosting a #SweetMemoriesGiveaway right now. Join the Little Debbie® giveaway by posting an image of your family recipe to Instagram with the hashtag #SweetMemoriesGiveaway for a chance to win $1,000! 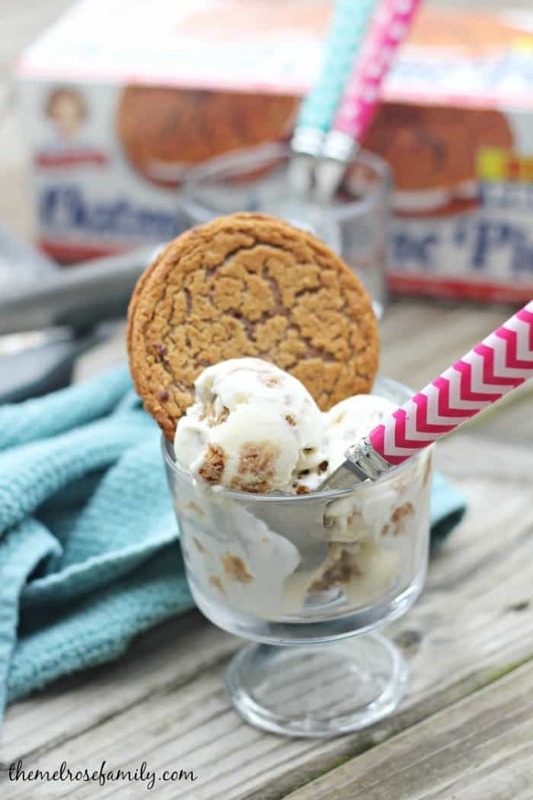 The perfect sweet combination of vanilla no churn ice cream with Little Debbie® Oatmeal Creme Pies. 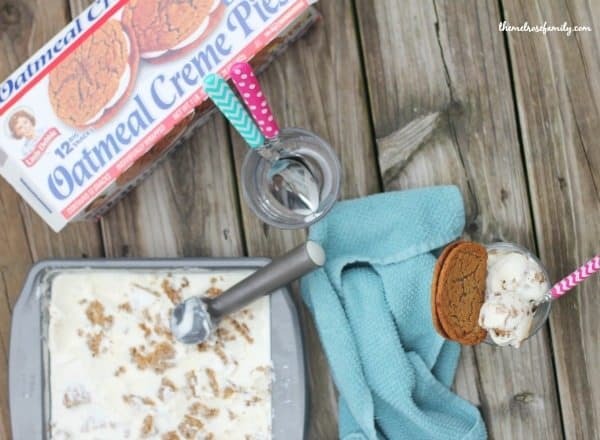 Slice up 8 Little Debbie® Oatmeal Creme Pies and freeze for an hour. Whip the heavy whipping cream for about 2 minutes so that soft peaks form. Add in the sweetened condensed milk and continue to whip together for another minute. 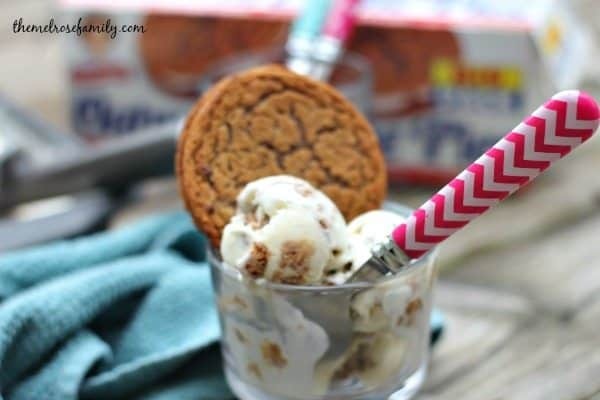 Fold in the frozen sliced Little Debbie® Oatmeal Creme Pies and pour into a deep baking dish.